Published on April 27, 2015 in corruption, Elections, Finance, General T&T, Media, People's Partnership, PNM, Politics and UNC. 8 Comments Tags: Abuse, Causeway, Express, Michael Harris, Politics, T&T Govt. But there are more serious issues behind the promise of a causeway. First of all while there is no question that the UNC did “tief” the PNM promise, we do have to ask ourselves why this particular promise. One answer has to do with what the Government is doing to the Chaguaramas peninsula. According to Planning Minister Bhoe Tewarie, the Government’s plan is to “monetise” the peninsula. Published on April 26, 2015 in General T&T, People's Partnership and PNM. 43 Comments Tags: Causeway, Politics, Raffique Shah, T&T Govt. Trust Trinidadians, or more accurately Trini-politicians, to engage in verbal battle over almost every issue—from the distribution of pampers to mothers of newborn babies to building a multi-billion-dollar causeway from Port of Spain to Chaguaramas. 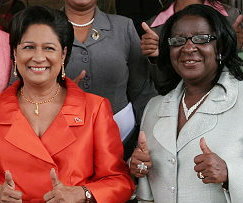 Most people never heard the word “causeway” before Prime Minister Kamla Persad-Bissessar uttered it at a UNC rally in Fyzabad last week. Published on April 22, 2015 in Finance, General T&T, Law and Media. 14 Comments Tags: Faris Al Rawi, Licensing Office, Motor Vehicle Authority, Newsday. IF YOU KNOCK down a person or an animal, you will have to stop and take them to a hospital or doctor, even if they are unconscious, PNM Senator Faris Al-Rawi said yesterday as he balked at the provisions of new motor vehicle and road traffic legislation. Speaking during debate of a bill to introduce a new suite of road offences and to implement a Motor Vehicle Authority to replace Licensing Office, Al-Rawi said the legislation was far too voluminous to be considered on the Senate floor. Published on April 21, 2015 in Education, General T&T and Religion. Closed Tags: Dr. Clifford Ramcharan, Stephen Kangal. Statement by Stephen Kangal read at the Funeral Service of the late Dr. Clifford Ramcharan held at the Susamachar Presbyterian Church on Saturday 18 April 2015 @ 11.00 a.m. Published on April 9, 2015 in Education, General T&T and Schools. 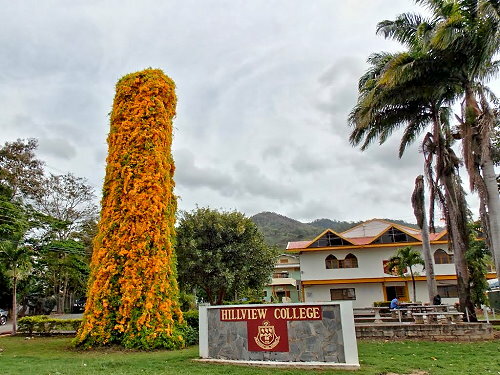 Closed Tags: Hillview College, Stephen Kangal. 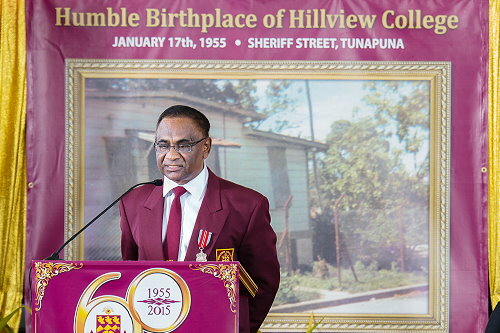 Hillview College, founded as Naparima College, Tunapuna Branch on 17 January 1955 inaugurated the celebration of its Diamond Jubilee with a Thanksgiving and Plaque Dedication Service held at the Aramalaya Church on 17 January earlier this year. Delivering an inspiring and fitting message was the Moderator of the Presbyterian Church, the Rt. Rev’d Brenda Bullock, graduate of Iere High School shown below. Published on April 8, 2015 in General T&T and Racism Watch. 31 Comments Tags: African, MLK, Selwyn R. Cudjoe. I have also ventured to draw parallels from the Bible and the Koran and the words of the great seers who drew their inspiration from those great books, in order to show how, in the deepest things of life, the Hindu and the Mussalman [the Muslim] and the Christian, the Indian and the European, in fact all who cared and endeavored to read the truth of things, are so spiritually akin.